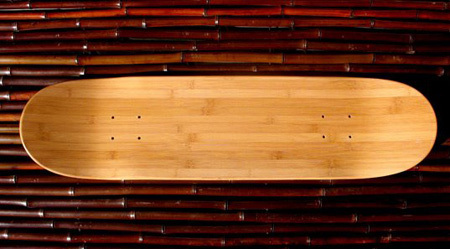 Created with style and used a sustainable material, the Bamboo, there is no reason for the Utopian Bamboo Skateboards to be hailed as an eco-friendly sports item and home décor as well. I say it as a good home décor, because each of the boards has and image of the famous skyscrapers in Utopia. 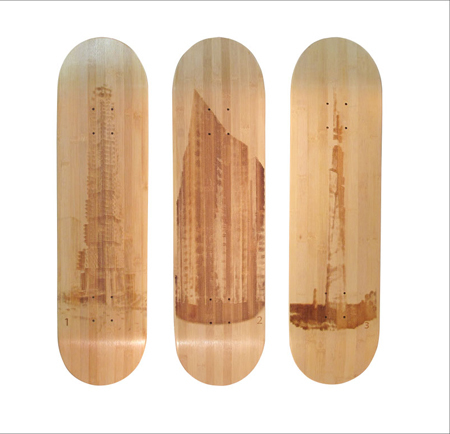 I presumed you can have the 10 bamboo skateboard series hang your wall, or let your kids use it for their favorite sports and let them spread the beauty of bamboo and the good thing it brings to the environment while spreading the beautiful artwork of the designers from Test Collective. What a great idea! 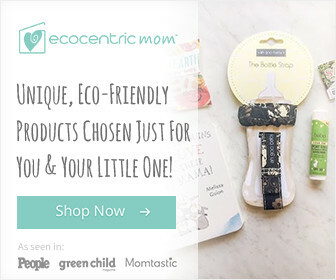 Thanks for helping to spread the eco-friendly word out there. We’ve recently brought an eco-certified line of sports balls (basketballs, footballs, soccer balls, and more) to market that are certified Fair Trade. 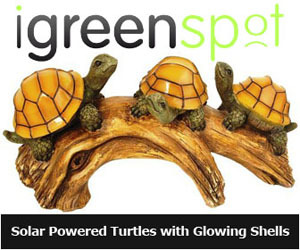 Stop by our blog at fairtradesports.com if you care to learn more. Thanks for the post!